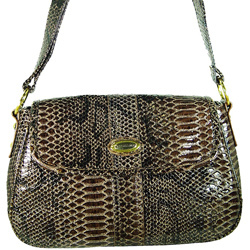 This Vecceli bag in Snake skin Print, is styled by renowned Italian designer Ronella Lucci. Make an statement with this luxury handbag that will complement all wardrobes. This handbag is large and roomy with superior craftsmanship and attention to detail.